Size(without base): Wide: 9", Deep: 1", High: 7"
This is a peaches carving, also called Ruyi. 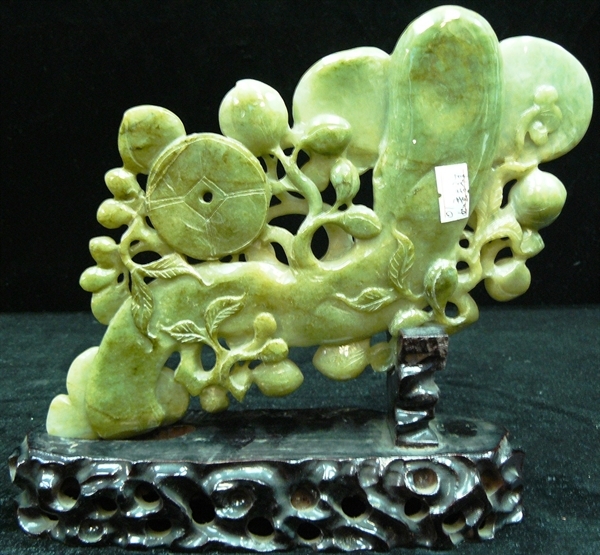 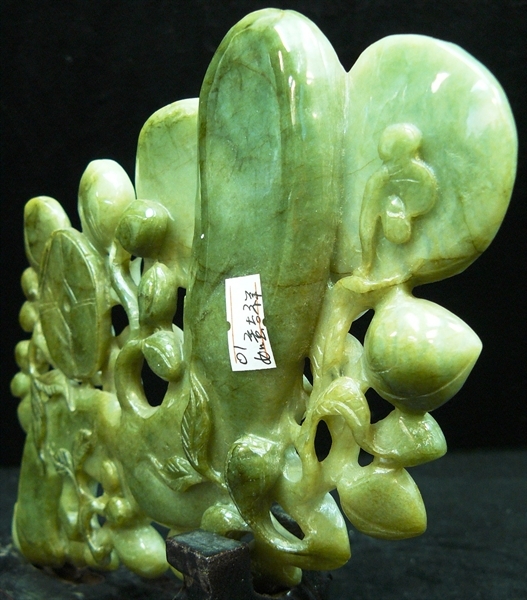 It is all hand carved from natural Emerald, a piece of jadeite. 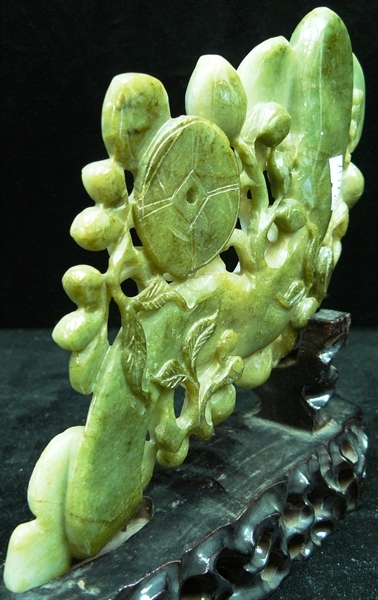 It is light green and dark green. 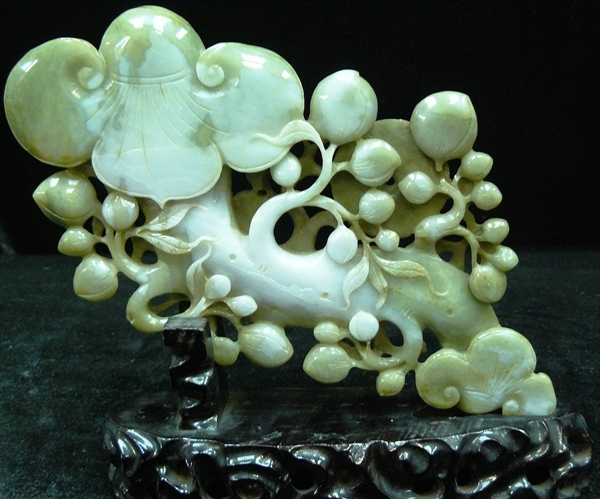 Peach means longivity and healthy. 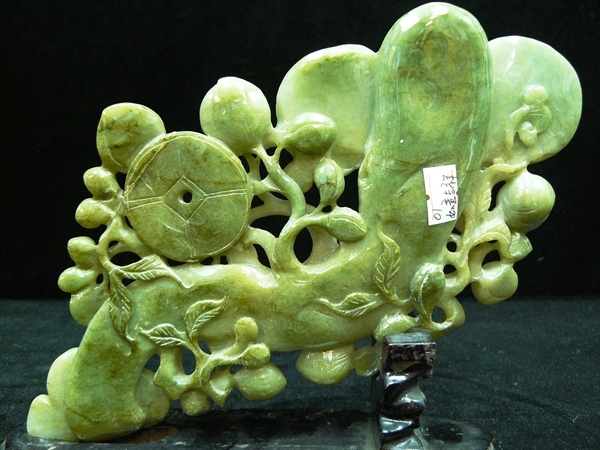 Only one piece carved, rare and unique.